Discovery could improve IVF and fertility treatments. Spermatozoa need to crane their necks to turn right to counteract a left-turning drive caused by the rotation of their tails, new research has found. Led by Dr Vasily Kantsler of the University of Warwick’s Department of Physics, the researchers discovered that all sperm tails (flagella) rotate in a counter-clockwise motion as they beat to enable them to move through and against the motion of a fluid. The counter-clockwise motion means that sperm should only be able to move in a leftwards direction, but the researchers observed that approximately 50% of the sperm observed in the research moved to the right. Comprised of a head, mid connecting piece and the flagella, 3D motion analysis of the sperm found that they were distorting their bodies at the mid-piece to counteract the physical forces that would cause them to turn left. The differences between the actions necessary for a sperm to turn left or right means that all could be able to turn in both directions or only one; indicating that there could be two physiologically distinct spermatozoa subpopulations. “Details of the spermatozoa motion have just started to be understood. We recently have learned that the sperm swim primarily near surfaces, which turned to be crucial for understanding why they navigate against a fluid flow. However, the reason why the sperm cells deviate from strait trajectories by going left or right has been unknown. “Analysing the details of 3D a sperm’s flagella beat, we have realised that all the cells rotate they flagella anti-clockwise, which would make them to turn left only. To reach their findings the University of Warwick devised an experiment to understand sperm cell behaviour under peristaltic conditions, such as the flow caused by the contraction and relaxation of muscles. Something similar happens in a human fertility tract after insemination, where peristaltic contractions move the fluid back and forth providing an advantage for sperm propagation. 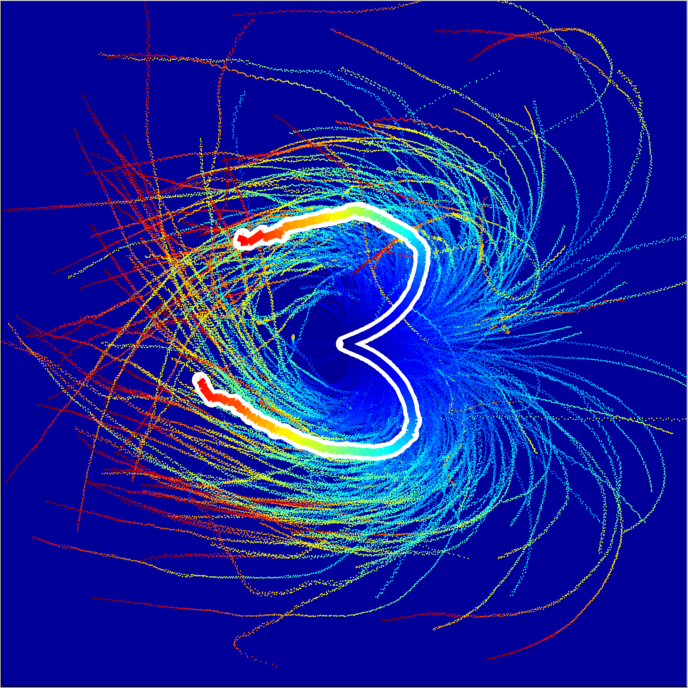 By doing so the researchers observed ‘heart’ shape trajectories of sperm cells in the experiments, showing the sperm turning left or right against the flow to form half of a heart shape depending on the direction they took. This finding motivated the researchers to deeply analyse the 3D motion of spermatozoa flagella at high spatial and temporal resolution, something which had never been done before leading to the discovery of a mechanism distinguishing two different modes of the spermatozoa motion. The research, Bimodal rheotactic behavior reflects flagellar beat asymmetry in human sperm cells, is published by the Proceedings of the National Academy of Sciences, U.S.A. Speaking about the how the research was conducted, Dr Kanstler says it was “is truly an international effort, where our colleagues from ITMO University, Dr. Anton Bukatin and Dr. Igor Kukhtevich were involved in the experiments, while the mathematical modelling and some key data processing have been done at MIT by Dr. Norbert Stoop and Prof. Jorn Dunkel”. - PDF of paper available on request.